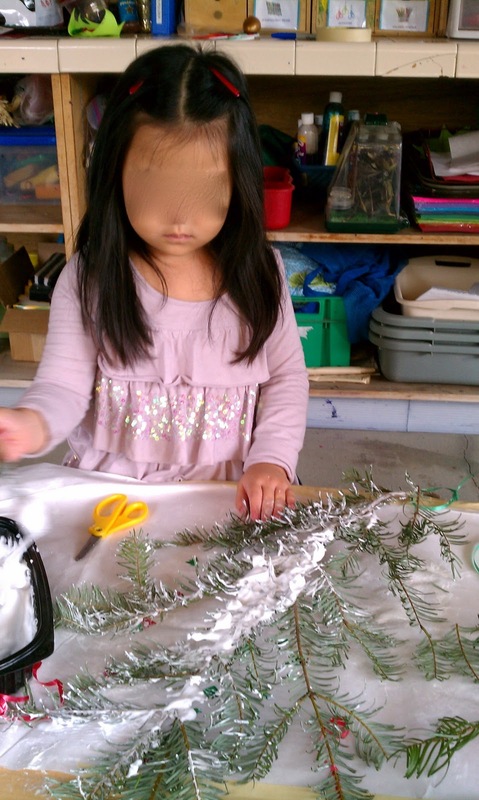 We are always looking to incorporate nature or natural elements into our art or activities at the school. 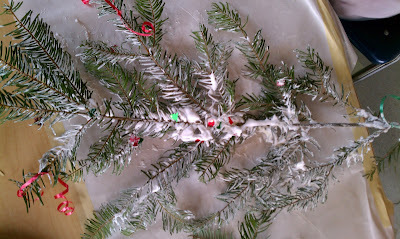 This week, I brought in the bottom branches that I had cut from my Christmas tree. 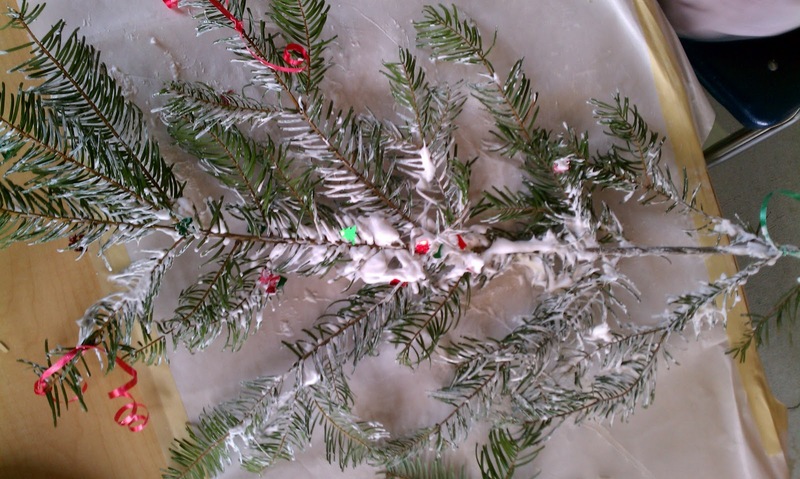 I snipped them into small segments, tied some ribbon to the top, and had the children paint them with Shaving Cream Puffy Paint (see recipe below or click the link to find other fun activities with this recipe). They also shook on some gold glitter and Christmas sequins. The result was a set of stunning holiday boughs. I just wish we had done these at the beginning of December! RECIPE: Shaving Cream Puffy (Snow) Paint: 1 part white school glue, to 4 parts shaving cream. Mix well. The final product dries puffy and white!